Professor Cordes is Director of the School of Public Policy and Public Administration and Professor of Economics, Public Policy and Public Administration, and International Affairs. He received his PhD in economics from the University of Wisconsin, Madison in 1977, and joined The George Washington University faculty in 1975. His academic specialization in economics is in the area of public economics and policy analysis. Dr. Cordes was a Brookings Economic Policy fellow in the Office of Tax Policy in the U.S. Department of the Treasury in 1980-81, and served as a senior economist on the Treasury's Tax Reform project in 1984. From 1989 to 1991 he was Deputy Assistant Director for Tax Analysis at the Congressional Budget Office. He was a Visiting Fellow at the Urban Institute in 1998-1999, and is currently an Associate Scholar in the Center on Nonprofits and Philanthropy at the Urban Institute. He also serves on the Research Advisory Council of the National Consortium on Nonprofit Enterprise. He has been a consultant to the Washington, DC Tax Revision Commission, the RAND Corporation, and numerous government agencies including the Congressional Budget Office, Internal Revenue Service Office of Research, the U.S. Treasury Department, National Institute of Standards and Technology, and the National Research Council. Professor Cordes is a member of the Policy Council of the Association of Public Policy Analysis and Management, and also serves as a member of the editorial board of the Eastern Economic Journal and The International Review of Public Administration, and referees for numerous academic journals. His current research focuses on the economics of nonprofit organizations, comparative analysis of welfare state institutions, U.S. tax policy, and the application of benefit cost analysis to evaluating the economic effects of public policies intended to mitigate risks natural hazards and terrorist attacks. Professor Cordes is the co-editor of Encyclopedia of Taxation and Policy, (Urban Institute Press, 2nd edition 2005), and Democracy, Social Values and Public Policy (Greenwood- Praeger, 1998). 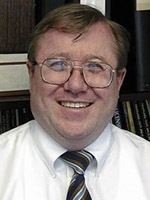 He has authored or co-authored over 40 articles in scholarly journals such as American Economic Review, Journal of Policy Analysis and Management, Policy Studies Review, National Tax Journal, Journal of Public Economics, Journal of Law and Economics, Journal of Urban Economics, Journal of Finance, Journal of Real Estate Finance and Economics, and Nonprofit and Voluntary Sector Quarterly. He has also contributed over 20 chapters to books and edited volumes. He is presently engaged in coediting a volume on the causes and policy implications of increasing convergence between nonprofit organizations and for-profit businesses, and a volume comparing the evolution and challenges facing welfare state institutions in Europe and the United States.